If you are looking for reputable roofers for affordable tiled roofing and tiled roofing repairs Torbay, including Paignton, Torquay and the surrounding areas of Devon, you have come to the right place. We work closely with customers to achieve the desired finish to tiled roofs. From initial quotation through to completion, we offer a flawless tiled roofing service. We can source the roof tiles of your choice at competitive prices and our roofers will complete the job within agreed timescales and budgets. We offer free tiled roofing quotations, so why not give us a call and arrange for a roof survey? With over 35 years experience in providing roof services across Torquay, Torbay and Devon we have become an affordable roofing company that customers can trust to complete roofing repairs or replacements to a high standard and at a competitive price. Your tiled roof is on the frontline for facing the elements at every moment, this means that over time it will become weathered down to the point where repair or maintenance to a pitched roof may become necessary to retain its structure and impenetrability. If you have noticed wear and tear throughout your roof or even damaged tiling, don’t delay in contacting us for a free quote. We are local roofing contractors offering affordable roof repairs. We are on hand to carry out expert repairs and restoration to your pitched roofing in Torbay and Devon. Discovering a leak in your pitched roofing is a problem that can quickly escalate, as water slips through your damaged tiling the damage will increase in size around the leak. Roof and chimney maintenance can prevent leaks from happening but unforeseen weather or unseen wear and tear can catch anyone out. Affordable roofing can quickly resolve your tiled roofing leak, repairing tiles, guttering and chimneys before the leak can cause any more damage. Maintenance can also be carried out by us to keep your roofing leak free all year round, no matter the weather. If your roof is too damaged it can be a hassle to keep it maintained and repairs as it will constantly become an issue down the line as new leaks and damaged tiling appears, in this case it is better to have the roof re-slated or re-tiled to keep it in an acceptable condition. 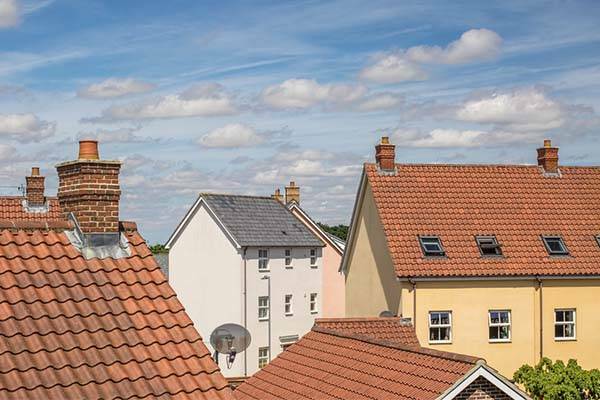 Affordable Roofing in Torquay are fully insured, qualified experts with years of experience in every aspect of slate roofing and tile roofing, you can be assured that work with us is professional whilst remaining affordable. Our comprehensive pitched roof repairs and restoration have kept homes happy in Torquay and surrounding areas for over 35 years. If you are unsure of the level of work required then call us now on 01803 551 442 or contact us here for a free no obligation quote.